Well it seems that my churning out recipes for books, apps, blog, ebooks, youTube is not enough. You want more…so what can I do other than put together collections such as this?? I trust most of you understand that I am actually trying to make a living out of what I do. By and large I get great feedback and compliments from the majority of those who follow me in whatever way suits them best. Occasionally I get a little narky comment about the fact I charge for some of my work and under deliver. If you are in this camp, please know that there is no ‘team’ other than some amazing people who emotionally support me and are willing to help at classes or on book/video shoots. Thanks to them always. Of course I have a hungry bunch of family members who will always happily come and eat whatever I cook…I have a business partner who works tirelessly on other projects and a publisher who supports me with sponsorship from all sources. So that’s it…Team Tenina in a nutshell. Without your readership and occasional purchases, I would be income-less. So thanks to you as well…In the meantime, keep up with the recipe conversation on Facebook, Twitter, Instagram or Pinterest…hopefully you won’t all be disappointed! Seeded Cob Loaf This loaf is rustic, laden with flavour and quite crunchy and delicious. You could use a traditional loaf tin if desired…don’t feel obligated to go cob! Where’s the home made honey butter?? Seriously delicious. 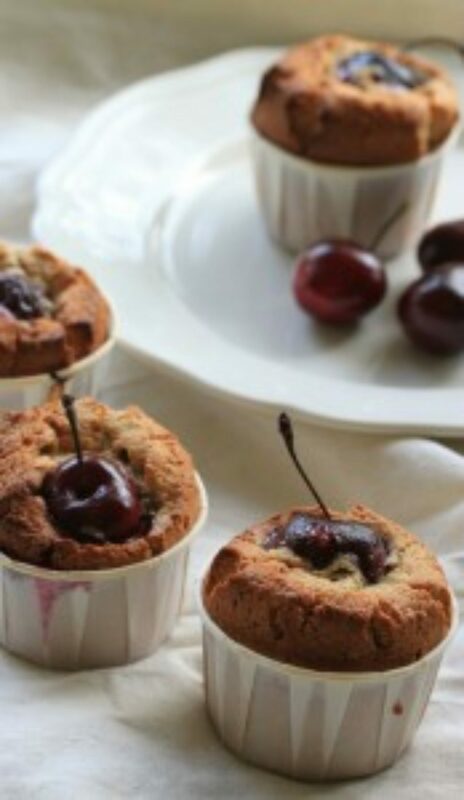 Quinoa and Cherry Friands One of my favourite recipes and this may or may not show up in the new book…that’s how much I love it! Gluten free….Add any fruit of choice, though naturally the cherries are kind of cute…don’t you think? Lentil and Quinoa Salad with Basil and Lemon I love a good salad, and this one ticks all the boxes. Filling, nutritious, but more importantly than any of that; delicious and fragrant. Enjoy! Fruity Quinoa Stuffed Peppers One of my all time faves, and so filling you can serve this as a main or just a fancy smancy side dish. Very festive and featured in one of my many sold out cooking classes (don’t ask me which one, its been a while!!) and always greeted with great enthusiasm! Hope you love it! Quinoa Porridge Easy and so filling, with a little planning, this recipe is a great start to any day. Add some fruit compote, yoghurt and real honey and you will not find a better start to any wintery morning. Seeded Quinoa Salad Another Salad. What can I say? Addicted to quinoa in salads…love this one. Hope you will too. Date and Honey Loaf Not officially a quinoa recipe, but you can use quinoa in this yummy sticky loaf in place of the spelt flakes. You will have to cook the quinoa first. Black Bean and Quinoa Chili Probably one of the new faves in our house. This is delicious, authentic and easy. You can bump it up to feed a crowd with more veg, or knock it back to feed less quite easily. Hope you’ll try it.